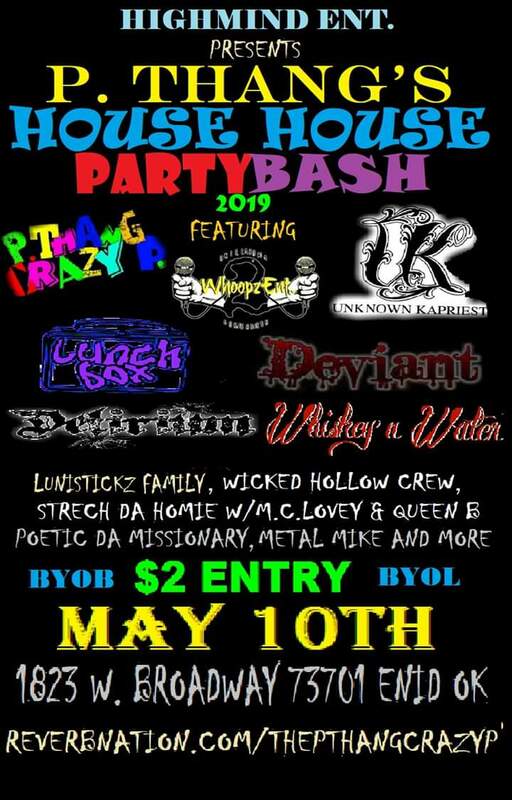 Lunch Box, Deviant, Delirium, Whiskey N Water, Lunistickz Family, Wicked Hollow Crew, Strech Da Homie w/ MC Lovey & Queen B, Metal Mike, More! Tickets are only $2.00 at the door! Don’t miss out!